The Lady Hornet volleyball team defeated the Cobras of Hudson 3-0 to advance to the sweet sixteen for the third straight year. The Hornets will host the winner of NCT/Fivay game next Wednesday at 7 PM. Girls Varsity Volleyball · Oct 20 3-PEAT!!!! 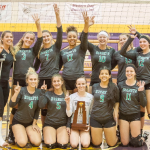 The Lady Hornet Volleyball team defeated Nature Coast 3-2 to win their third consecutive district title. The Lady Hornets will move on to the regional round as they will host Hudson next Wednesday, October 25th at 7PM. The cost of the FHSAA State Series event is $7. Let’s pack the gym!! 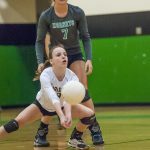 The Weeki Wachee volleyball team defeated the Lady Bears of Central High School 3-0 in a district contest. The Lady Hornets return to action Thursday against district foe Citrus High School, starting at 6 PM. The Lady Hornets will be celebrating senior night. The Lady Hornet volleyball team defeated Nature Coast 3-1 in a key district match up. They improved their record to 7-8. The Lady Hornets will return to action next Monday, October 2nd when they host rival Central High School. JV game will start at 5:30 PM. The Lady Hornet volleyball team defeated county rival Hernando High School by the score 3-1. The Lady Hornets improved their record to 6-8. Their next game is tonight at Nature Coast Technical High School. The JV game will begin at 5:30 PM. The Lady Hornets will battle the Lady Eagles of Springstead in a key county match-up this Tuesday, August 29th. The JV will start at 5:30 and the varsity will follow after. The two-time defending district and county champions are 2-0 on the season. Cost of admission is $4.